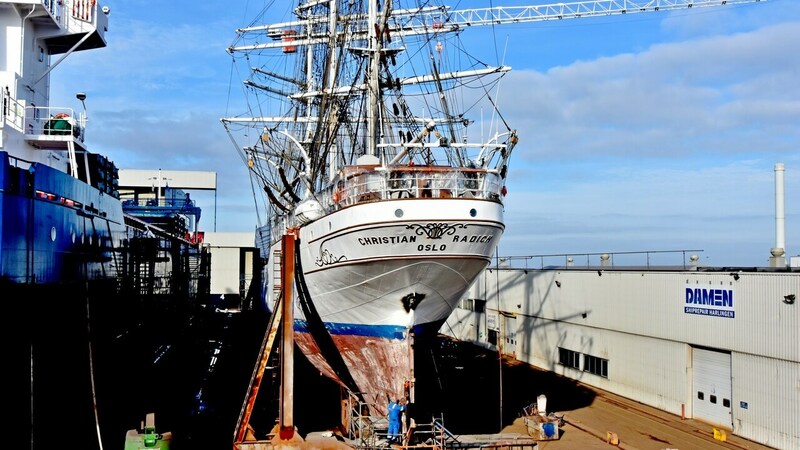 In autumn 2018 the fully-rigged sailing ship Christian Radich returned to Damen Shiprepair Harlingen (DSHl) for a five-week programme of repairs and maintenance. 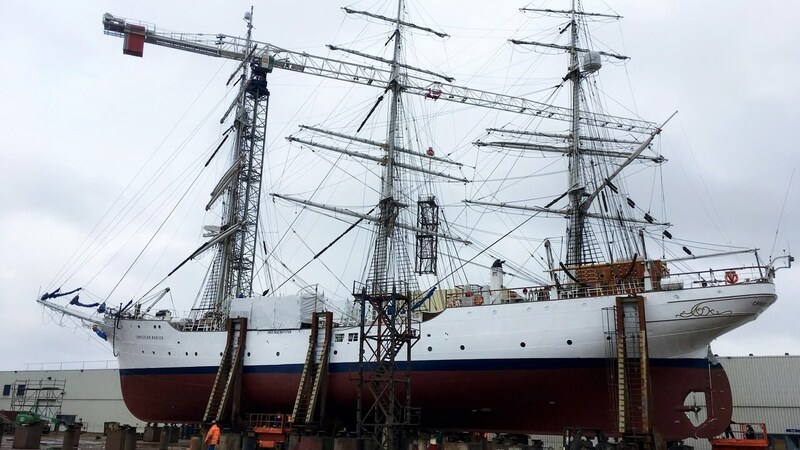 The Norwegian-flagged, 63-metre, three-masted vessel is over eighty years old and leads a busy life as a training ship for young Norwegians, as well as undertaking cruises and races with paying guests. The primary objective of the five-week programme was the removal of the existing galley and the installation of a new, commercial-grade facility capable of feeding the 80 plus crew and guests. As well as the installation work, performed by specialist subcontractors, the refit involved the removal of all the concrete floors for the fitting of the new equipment including a ventilation system, and new walls, ceiling and flooring. Additional maintenance works included high pressure jetting and cleaning of the exterior, while the rudder assembly was overhauled and the rudder trunk replaced. The top of a freshwater tank was also renewed and a fresh coating applied, after which the wooden deck above was renewed. 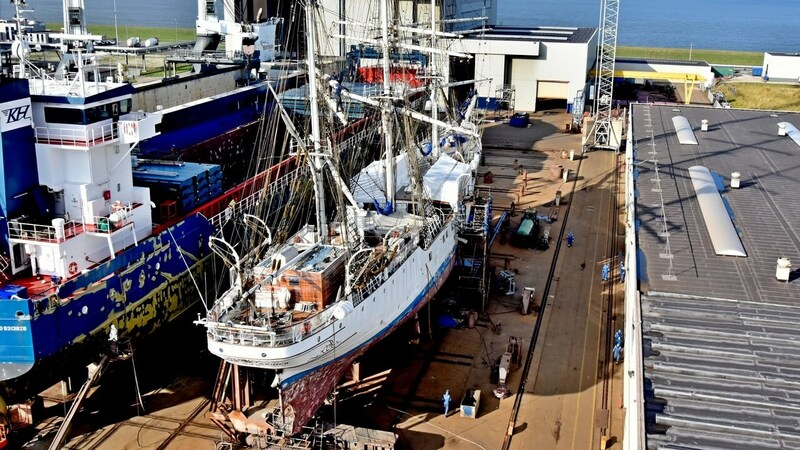 Maintaining classic sailing ships like the Christian Radich is very different to works on a modern motor vessel. The presence of masts and rigging makes cranage much more difficult, while the use of fixed ballast, rocks in this case, also makes access for inspections highly problematic. Other aspects that require careful handling include the traditional woodwork used in the accommodation. This is very different to today’s commercial panelling and flooring and needs to be handled with great care and with high levels of craftsmanship. Steel works also bring challenges. 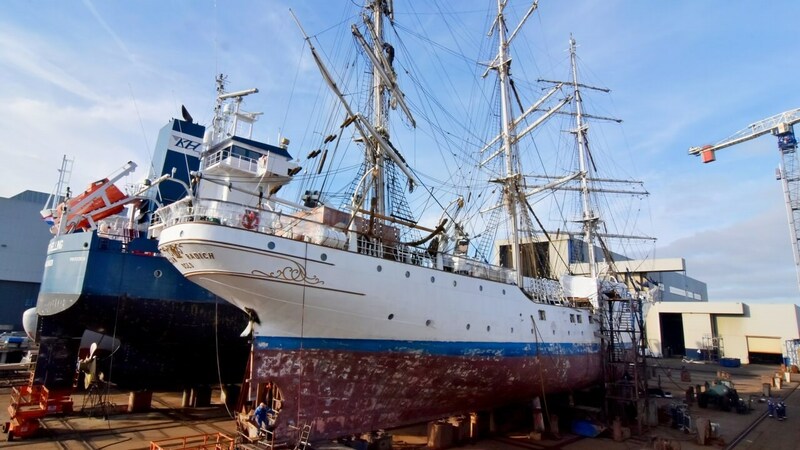 To preserve the authenticity of traditional riveted hulls, the welding of new steel plating is prohibited. This means that the joins between old and new plating and internal structures requires care management as miscalculations can result in major issues due to the different expansion and contraction rates of the various materials. Wooden decks also have to be removed before any repairs to the steel decking can take place, and then refitted afterwards. But despite these drawbacks, working on classic sailing vessels does brings its pleasures. 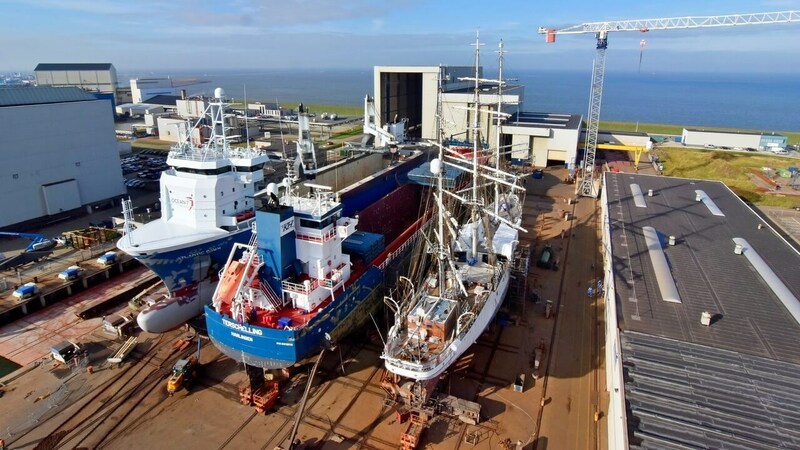 “When the buzz words in shipping are so focused on digitalisation, once in a while it’s really nice to work on a vessel whose top priority is the strength and direction of the wind, rather than connectivity,” says Area Manager Norway, Denmark, Faroe Islands and Iceland Eirik Eide, from Norway. 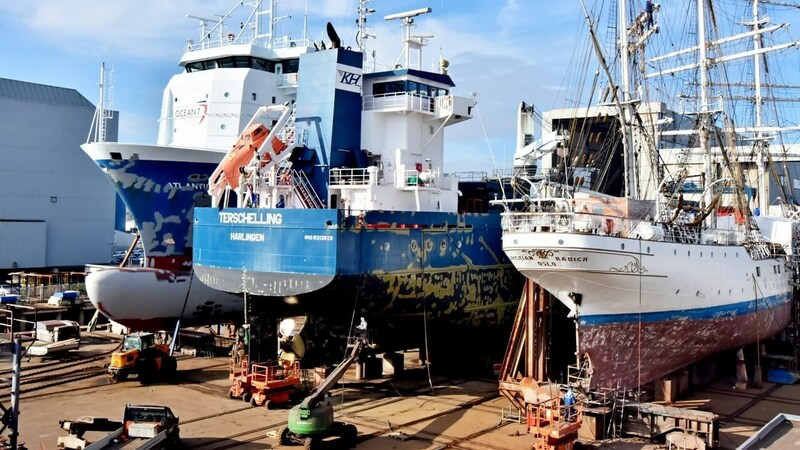 Damen Shiprepair Harlingen is located in the northern part of the Netherlands, in the city of Harlingen. It is easily accessible through the Wadden Sea without any obstructions such as locks, bridges or tidal restrictions, up to a guaranteed draft of 7.5 meters.